Canadians are a hearty bunch. Year in and year out we make it through the winter season with smiles on our faces and joy in our hearts. For many of us, we have paid our dues as hearty Canadians and have traded in our galoshes and hats for temporary homes in warmer climes. Often, snowbirds will rely on family or friends to check in on their homes while they are away. Many will hire a live-in sitter through craigslist or online and others prefer to close up the house and hope for the best. Although these options can be low cost, they can be costly if anything goes wrong. A professional house sitting service is dedicated to looking after homes. Look for a professional house sitting service that is bonded and insured. They will check in on your home as often as you decide and your responsibility to your insurance policy will be covered. Insurance companies have varying demands in policies regarding the length of time a home can be left unattended. Your professional house sitter can work with you to determine the time period necessary making certain that you honour your policy. Professional house sitting services are trained to look after issues that arise with your home. If any problems arise in your home while away, your house sitter will be able to manage the issue quickly and professionally, potentially keeping your home from suffering excessive damage. Your service will be able to collect all of your mail and if you choose, can pay any outstanding bills that may be needed to be covered while you are away. For travelers going on shorter winter vacation trips, it is impossible to take your animals along for the winter break. Turtles, reptiles, fish and even cats are not so keen to pack up and take that trip south. A professional service is trained to look after any animals that you may not be taking with you on those shorter trips. Look for a house sitting service that takes animal care seriously and is trained in all types of animal care. Your pets will be well looked after. If any pet needs special attention your professional house sitter will have the means to transport your pet to your vet and have it looked after with the attention you would give it yourself. A professional house sitter will shovel your walk and driveway regularly. This upkeep will keep your home looking well looked after. A good professional house sitting service keeps your home in such a way that thieves are not easily able to case your home. Unlike neighbours or family who run in quickly and not necessarily regularly, a professional house sitter will make certain your home will look lived-in and not empty. A professional house sitter is also able to advise you on the many steps you can take to reduce potential break-ins. A professional house sitting service is able to advise you on the steps you can take to protect your home and possessions. Their expertise and knowledge will help keep your home safe and secure. A professional house sitting service will stay in communication with you at all times. If you have any concerns while away you will have peace of mind knowing that you can contact your house sitter easily. Your house sitter will also contact you as often as you wish with status on your home. A professional service can be surprisingly affordable. A good service will work with you to identify your needs and come up with a schedule that will give you peace of mind while away from you home. 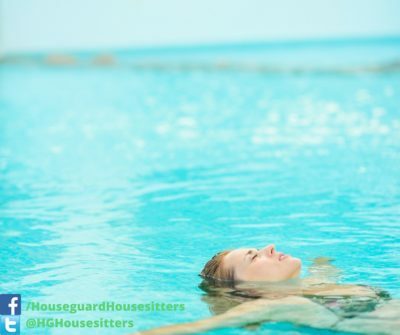 HOUSEGUARD Housesitters specializes in home security and pet care. Whether you chose daily visits or prefer someone to live in, our team of professionals will ensure your home is kept safe and secure while you are away for the winter. Going on Vacation? Do You Know What You’ve Agreed To Do With Your Insurer?